With each new major version of its CRM product, Microsoft does a little refresh of its certification exams. 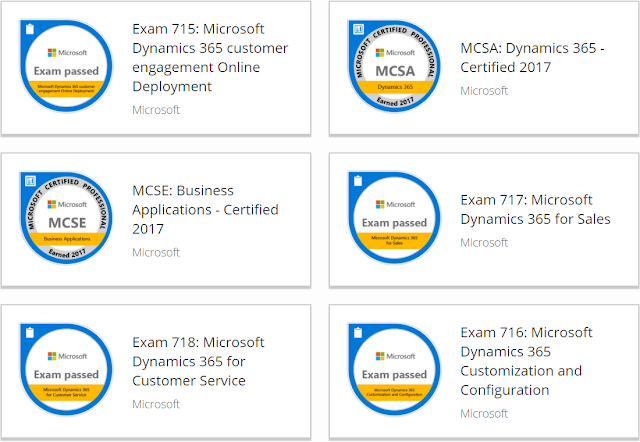 These exams are important to validate by Microsoft but also to to the market your level of competency on the Dynamics solutions. Therefore they are particularly important for service companies. How to revise and prepare for certifications? If you are a customer, I advise to get in touch with your Microsoft interlocutors or directly to training centers offering Dynamics trainings. 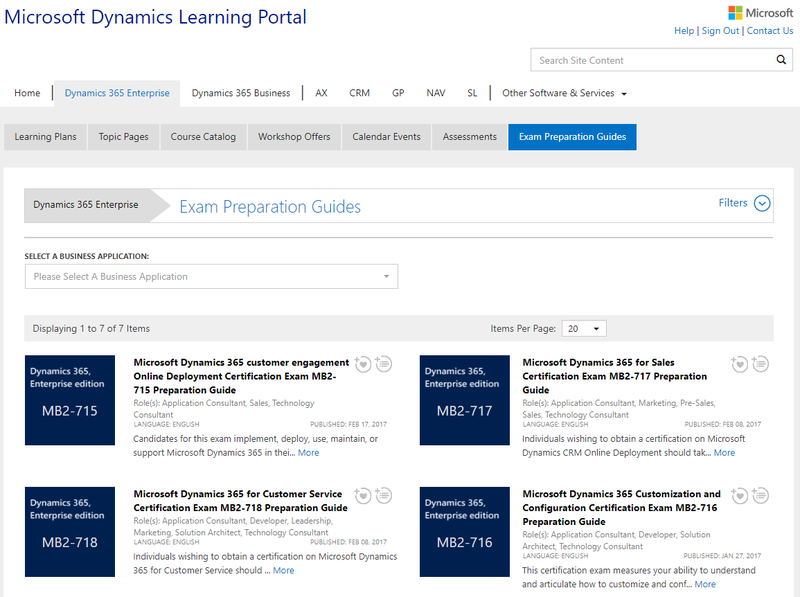 If you are a Microsoft Partner, you should have access to its Partner Source portal and to its Dynamics Learning Portal (DLP). On top of available E-Learnings on the DLP, I recommend hands-on practice, even if it is only on trial instances, in order to deeply test each product module and feature. With its new partnership with YourAcclaim, Microsoft allows you to make your accomplishments more visible. You get badges and get to easily share them on Social Networks. YourAcclaim also comes with a public profile where people can see you record of Microsoft certifications (an example with mine). While E-Learnings videos can sometimes be long and hard to focus on, you can always download the course resources and especially the PowerPoint files. I always download all PowerPoint presentations on a OneDrive folder and read them on my smartphone while I commute. Of course, I always go through the application to practice on a trial instance.